Oregon Youth Authority created a famility engagement coordinater position to improve the relationship between family members and facilities like this one, in Grants Pass, Ore. in 2011. Scrutinizing controversial policies affecting young people at risk. All the world’s a stage — even behind bars, in Massachusetts. Inside juvenile correctional facilities in The Bay State, young offenders study the finer points of Shakespeare, rehearse for weeks, then perform the Bard’s works before parents and grandparents and aunts and uncles. In Texas, incarcerated youths lead their relatives to schools inside juvenile facilities, where they showcase their work in classrooms and introduce their teachers. A state juvenile justice staffer likened the visits to the sort of open house you might expect at a public school. In Indiana, juvenile authorities have greatly expanded visiting hours at their facilities. Even late-night visits can be arranged by appointment, if needed, to accommodate a family member’s schedule. For those who can’t make it in person, Indiana facilities — like some in other states — offer virtual visits through videoconferencing technology such as Skype. The three states illustrate efforts to foster “family engagement,” which has become a buzzword in juvenile justice circles. It’s about building bridges between family members — or other key figures in youths’ lives — and the staff at juvenile facilities that house youngsters. Experts, supported by a small but growing body of research, say fostering family engagement improves incarcerated youths’ behavior, makes families feel more connected, reduces disciplinary incidents and boosts the morale of staff. Moreover, strengthening these connections better prepares youths for a return to the community upon release — most return to their family homes — and reduces repeat offenses. But for all the progress in building better relations with families, critics complain that too much of the juvenile justice system in America is still beset by harsh conditions, violence and widespread use of solitary confinement, which is increasingly controversial. And historically, relations between family members and juvenile facility staff have been marked by mistrust and, at times, downright hostility (and, in fact, the first U.S. juvenile facilities explicitly attempted to isolate kids from their families). Staff at many juvenile facilities have developed a reputation for acting as if family members are to blame for youths’ offenses and treating the family members with disdain and disrespect. Family members, for their part, often view officials at juvenile facilities not as allies, but as obstacles, in the ostensible goal of the juvenile justice system: rehabilitation of youthful offenders. “A lot of the parents line up against custodial agencies. They see us as extension of the court system and the child welfare system that have been removing the kids from their homes and that they’ve had a really bad experience with over a period of years,” Peter Forbes, commissioner of the Massachusetts Department of Youth Services (DYS), said in an interview. In fact, parents and other family members play an integral part of the success of the state’s innovative work with the nonprofit Actors’ Shakespeare Project, based in the Boston suburb of Somerville, Mass. Family members and friends form the appreciative audiences for the incarcerated youths’ forays into the four-century-old works of Shakespeare. For example, incarcerated girls recently performed the comedic play “As You Like It” at the Zara Cisco Brough Center in Westborough, Massachusetts. Actors’ Shakespeare Project cleverly calls the program “Incarcerated Youth At Play” and says the themes of some Shakespeare plays such as justice and revenge, violence and grief and the power of love and redemption can resonate with troubled youths of the 21st century. Daisy Gomez-Hugenberger, communications coordinator for DYS, said in an email Shakespearean “teaching artists” from the nonprofit work from three to 16 weeks with incarcerated youths to create ensembles. And English, language arts, theater and social studies teachers in the facilities help youths explore Shakespeare’s plays and write, rehearse and perform within the context of teaching in the classroom. On a more prosaic level, sometimes simple things mean a lot to family members, who are often guilt-ridden over what they might have done differently and racked by anxiety. Forbes says even calling families to ask about their schedules instead just mailing out a notification of a youth’s next monthly treatment plan meeting and holding parent-teacher nights can help break down barriers. Massachusetts also invites youths and families to participate in occasional DYS “strategic planning” meetings. Neelum Arya, research director of the Program in Public Interest Law and Policy at the University of California, Los Angeles, law school, labels such outreach “family-driven justice” in an 83-page article in the current issue of the Arizona Law Review. As Arya noted in her article, the Texas Juvenile Justice Department has made family engagement a “top priority” as part of efforts to overhaul the department in the aftermath of a scandal over rampant sexual abuse. Among other reforms, the department developed a 12-provision “Parents Bill of Rights” and a family handbook detailing facility policies. Arya also points to the widely cited “Missouri Model” and lauds the state for putting a premium on family engagement and for viewing “families as experts.” Among other things, Missouri’s Division of Youth Services state advisory board includes parents of two youths who had been incarcerated. The division also assigns a specific “service coordinator” to work with each incarcerated youth’s family starting within days of sentencing and continuing throughout the youth’s time with Missouri’s DYS. The service coordinators even make home visits to meet with families to put them more at ease than they would be in an institutional setting. Most youths are also placed within 50 miles of their homes, with flexible visitation policies and transportation offered to families. Real reform or window dressing? And Sue Badeau, a longtime juvenile justice advocate based in Philadelphia, strikes a cautionary note about the progress of family engagement. Badeau said it’s much easier for agencies to adopt cosmetic or highly visible changes like expanding visiting hours or scheduling events than to genuinely change the culture of an institution so its staff values family engagement. She knows of what she speaks. Badeau and her husband, Hector, are the parents of six children who have spent time in the juvenile or adult criminal justice systems (among their 22 children, 20 of them adopted). And in 2011, she served a one-year fellowship focused on family engagement with the federal Office of Juvenile Justice and Delinquency Prevention and has spoken and written widely on the subject. “The real work comes for systems to really determine whether they value the role of families,” Badeau said. “Even if they had a party or improved the visiting hour schedule or something like that, the question is how are they doing as far as training with their staff on the role of families? Staff, she said, must be trained to build positive relationships with youth and their families, and family engagement should be part of staffers’ job descriptions and one of the skills included in staff evaluations. Badeau said youth and their families should have some say in choosing which relatives or others such as mentors, coaches or family friends the facilities should deal with. She pointed to innovations including “family-to-family peer support” and said families should be tapped to help train facility staff and sit on advisory boards and such at local, state and federal levels. 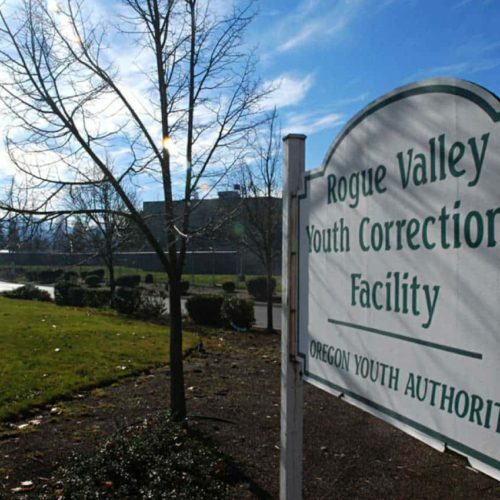 Oregon, known for its progressive juvenile justice policies, has created a family engagement coordinator position to improve the connection between facilities and family members or other adults who play a big role in youths’ lives. Faith Love, the family engagement coordinator for the Oregon Youth Authority, said in an email youths’ behavior may be linked to their home life, and by connecting with the families, OYA can help address unmet needs for food, shelter, employment as well as medical, mental health and substance abuse treatment. Adults in youths’ lives may need coaching and support to help incarcerated youths, sometimes involved with multiple systems, Love said. “Most of the families we work with are either exhausted from or unsure how to deal with the behavior of their child.” Love said. “They may have previously sought help from multiple sources. Some families are hurt, ashamed and not sure of how best to become involved. Sometimes, encouraging family engagement means paying for hotel stays, bus tickets or gasoline so the relatives can visit youths in Oregon facilities far from their homes. Ohio juvenile authorities collaborated with the nonprofit, New York City-based Vera Institute of Justice on “Families as Partners: Supporting Youth Reentry” to encourage more frequent visitation and correspondence and increase family involvement in youths’ treatment and reentry plans. Working with two juvenile facilities for boys, Vera researchers found increased family visitation improved youths’ behavior and school performance. Vera highlighted the importance of visitation and suggested other juvenile facilities change visitation polices and take other steps to promote more frequent visitation. In a different twist on family engagement, the “Baby Elmo Program” being piloted in Santa Clara County, Calif., and elsewhere, focuses on strengthening relationships between incarcerated teen fathers and their infants. The project of the Early Learning Center at Georgetown University law school and the nonprofit, San Francisco-based Youth Law Center relies on a standardized curriculum for the 10-week course, and facility personnel use “Sesame Street” videos to teach the fathers ways to interact with their babies. Many of the incarcerated youths did not have a strong father figure in their lives. Arya, the UCLA law school researcher, says early results are promising, showing fathers the big role they can play in their children’s development and helping the babies develop bonds with their fathers. Kim Godfrey, executive director of the nonprofit, Braintree, Mass.-based Performance-Based Standards, which helps agencies and facilities monitor and improve conditions and treatment, noted most youths will return to their families upon release. Marcy Mistrett, CEO of the nonprofit, Washington-based Campaign for Youth Justice, expressed similar sentiments about incarcerated youths.